This sitting area is part of an open plan kitchen and dining. It is design to look smart but more relaxed than the main lounge. The key is in the materials used on the curtains, sofa and walls. They are all textured and interesting in their own right but not overpowering and dominating the space. 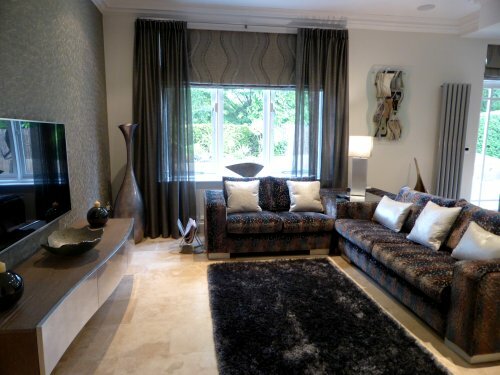 The overall feel of the space is calm due to the neutral colour palette of taupe and silver colours.